Image provided by Flickr. Donor retention is a topic that has been getting an increasing amount of attention by nonprofits but is still greatly misunderstood. With a heavy focus by boards and executives on revenue intake, the nuances of keeping donors engaged can sometimes get lost when reviewing a P&L Statement at the end of the year. Neon One is part of the Fundraising Effectiveness Project, which is the largest dataset of individual giving data in the world. That project looks at hundreds of data points relating to giving information, but there is a particular focus on donor retention. Donor retention is simply ensuring that you keep a donor giving to your organization year over year. 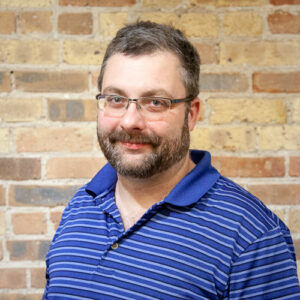 The data doesn’t lie on why this is important – when Adrian Sargeant researched lapsed donor behavior, he demonstrated that increasing the level of retention by 10% would improve the net growth in giving for a “typical” charity database by 50% net growth. Yet how can we get to this point? 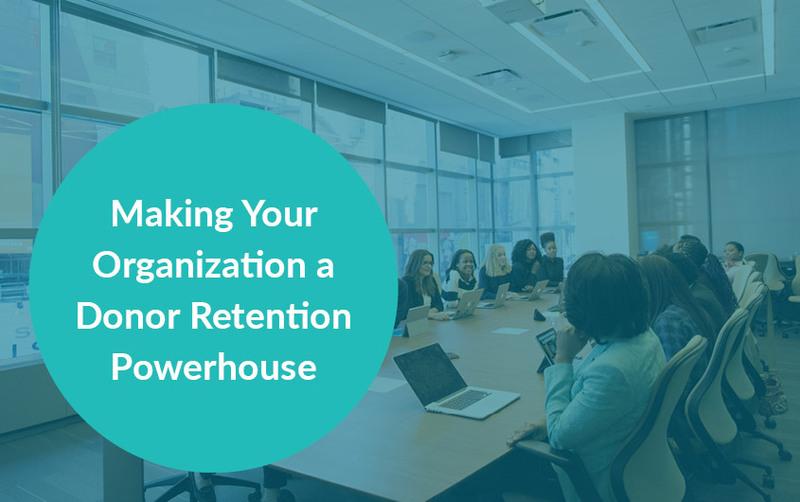 In an environment where we are being asked to deliver results immediately, how can we not only convince our stakeholders that retention is not only important but the key to long term success? The cost to acquire $1 from a new donor averages $1.25, yet retaining a donor comes at a significantly lower cost. Let’s unpack a few strategies to help us become a retention-centered organization. In order to know where to go, you need to understand where you are starting from and getting a grasp on your retention rates as they stand will be the first step. Luckily the Fundraising Effectiveness Project has developed free resources to analyze your own data and you will need three simple fields to get a full audit of your situation. When you run through the Fitness Test that they provide, understand that industry-wide retention is very poor. At best, the average retention rate for a nonprofit is 46%, yet it is important to unpack what the reality of this number even is. First-time donor retention rates are drastically lower, typically in the 25% range and a healthy amount of donor retention rates overall are being driven up by increasing amounts of donors giving online. Organizations that are driven (but not constrained) by data are the most creative and high-functioning nonprofits. Having information at your disposal that can accurately tell you about your organization’s performance is empowering. These organizations are able to use their time more effectively — not worrying about “where they are” or “how they’re doing.” They know, because they’ve used the data at their disposal to find out. Certainly, a data-driven culture has an effect on the fundraising side of the nonprofit. The ability for your organization to make decisions based on data and not “gut instinct” or because “we’ve always done things this way” will be the difference between increasing retention and growth in giving rates for your organization or scrambling to make up gaps in your end of the year giving hoping things get better next year. Review where your current retention rates are and make a realistic goal to increase them over the course of the year. Being optimistic yet realistic is the key here and this is why understanding your current standing with your donors will allow you to address retention properly. Grouping your donors into easily targeted segments will ensure you can message them properly. The most common reason a donor stops giving to a nonprofit is poor communication and the last type of communication a donor wants to receive is one where your organization makes it clear you have no clue who they are. Data suggests that regardless of the age of the donor, an omnichannel approach to donor engagement will be the most effective way to increase your retention rates. Segmenting your donors to create targeted messages in an omnichannel way will ensure that you are speaking to where the donor is, not where you personally want them to be. If you are donor-centered in your communications then your ability to upgrade a small donor into a major donor becomes much easier. Segmentation is also vital when doing prospect research on your donors, since you will be able to craft a pipeline management strategy that your major gift officers will be able to put into practice much quicker. Once you have segmented your donors, start to scope out the strategy for engagement and the tactics you will use to achieve your objectives. Many organizations start with the tactical first and try to lead with the flashiest ways to engage donors, such as costly events. Instead, your organization should take a step back and calculate the return on investment it will take to retain the largest segment of your donors. A solid example of this is around how we speak to donors. A strategy your organization would employ is donor stewardship, or the ability to make donors feel welcome. The tactical application of this strategy could come in the form of well-written gift acknowledgement letters and a sophisticated gratitude recognition procedure. It is also important to continue to monitor the metrics around your strategy and tactics. Simply employing them is not enough; your organization should review the results of your campaigns, appeals, and follow up specific to the segments you have targeted for a donor retention strategy. The implementation of a retention plan as opposed to focusing on new donor acquisition is the best investment your mission-driven organization can make. By focusing on people already invested in your mission, you will be able to increase the revenue your organization brings in both immediately as well as long term. Especially as we gear up for a major transfer of wealth in the coming years, ensuring that an individual feels connected to your organization over the course of many years will make an impact when it’s time for them to consider a legacy gift. Donor retention will make an immediate impact on your bottom line as well, since retaining donors earlier in the year will help your organization properly project revenue for year-end appeals as well. While our organizations should focus on key metrics beyond donor retention, it is an excellent first step toward becoming a completely donor-centered mission. Interested in powering your organization with a database designed for retention? Check out NeonCRM, which has a fully-certified integration with DonorSearch. Tim Sarrantonio is a team member at Neon One and has more than 10 years of experience working for and volunteering with nonprofits.Tim has raised over $3 million for various causes, engaged and enhanced databases of all sizes, procured multiple successful grants, and formulated engaging communications and fundraising campaigns for several nonprofits. He has presented at international conferences and is a TEDx speaker on technology and philanthropy. He volunteers heavily in his home Niskayuna, NY.